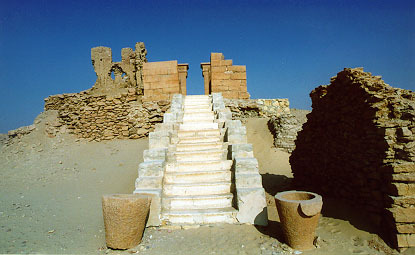 The Faiyum region consists of a large fertile depression covering 12,000 sq. km in the Libyan Desert located about 60 km southwest of Cairo. The region incorporates archaeological sites dating from the late Paleolithic to the late Roman and Christian periods (c.8000 BCE - CE 641). Until the Paleolithic period a vast salt-water lake lay at the heart of the region. This was gradually transformed into the smaller, fresh-water Lake Moeris, linked to the Nile by a river arm known as the Bahr Yusuf. 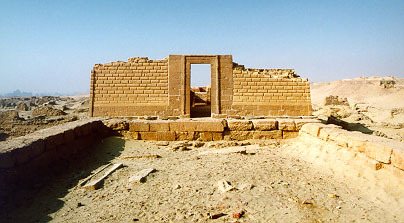 The region flourished from the Middle Kingdom (2055-1650 BCE) onwards, but most of the surviving archaeological remains date to the Ptolemaic and Roman periods. The Greeks called the capital city of the Faiyum Crocodilopolis, for it was sacred to the crocodile god Sobek who was worshipped there. 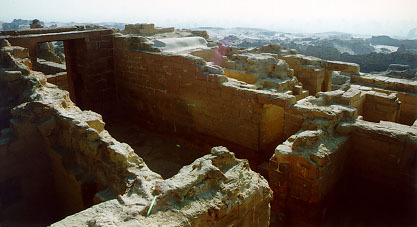 One of the Steam rooms and pools of the Roman baths that can still be seen in the north temple of Karanis, now mostly in ruin. 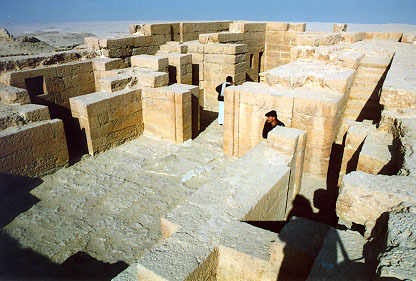 The North Temple of Karanis?? Inside the North Temple or Karanis. Some of the waterwheels in the oasis. 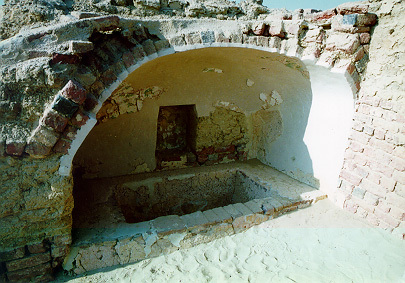 The waters of the Bahr Yusef are distributed throughout the oasis from Medinet, the capital of the Faiyum. 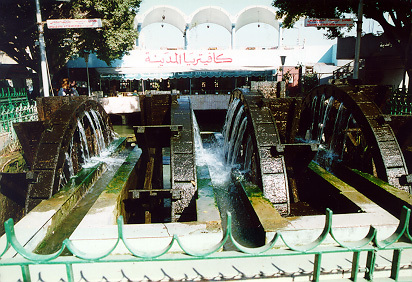 Approximately 200 of the great waterwheels are located throughout the oasis.